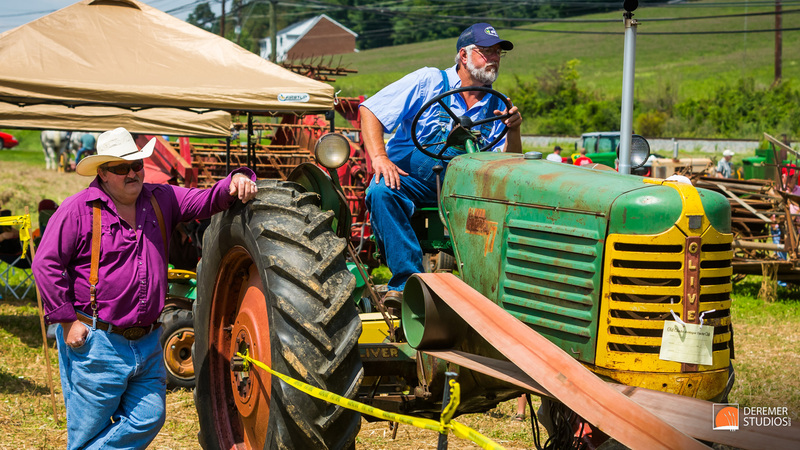 We recently had the very special treat of attending the Old Glade Antique Tractor Show, perched on a picturesque hillside in Abingdon, VA. At first glance, the similarities between an antique tractor show in the Virginia hills and our usual coverage of an event like the Amelia Island Concours d’Elegance seem few and far between. Sure, the items on display are old and the vehicles on display have 4 wheels, a motor and some curious designs – but beyond that how could these two events be more dissimilar? In fact, these sorts of events have more in common that you would think. While most of the collectors probably don’t have bank accounts to rival the GDP of a Central American country, these folks are every inch as passionate about their vintage tractors as are the owners of a prestigious piece of racing history. They know the provenance of their machines, the nuances that make their tractor unique, and they have a high opinion of what their equipment is worth. It’s often said you can tell you’re at a concours by the garish and stylistically confusing coloring of participants pants, and so too you find a distinct wardrobe at an antique tractor show – consisting mainly of crisp blue bib-overalls and straw hats. So, what is different you ask – there is an order of magnitude separation in the value of these vehicles for starters. 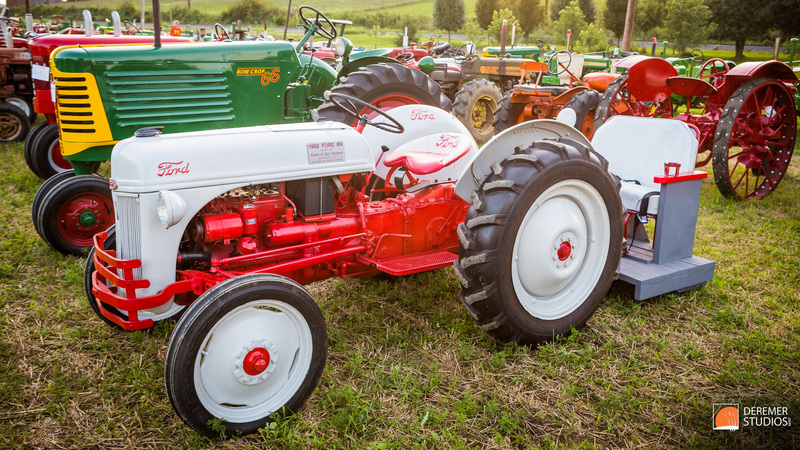 A pristinely restored 1950s Ford Jubilee Tractor, for example, will set you back about $5,000 – but even a bargain-basement concours-level entry will set you back 30 times that amount. In other words, if you were so inclined to sell just one of your concours cars, you could fill up an entire barn with top-notch antique tractors – in-so-doing have one of the best private tractor collections in the country – and still have enough loose change to buy yourself a few dozen acres to play farmer with. 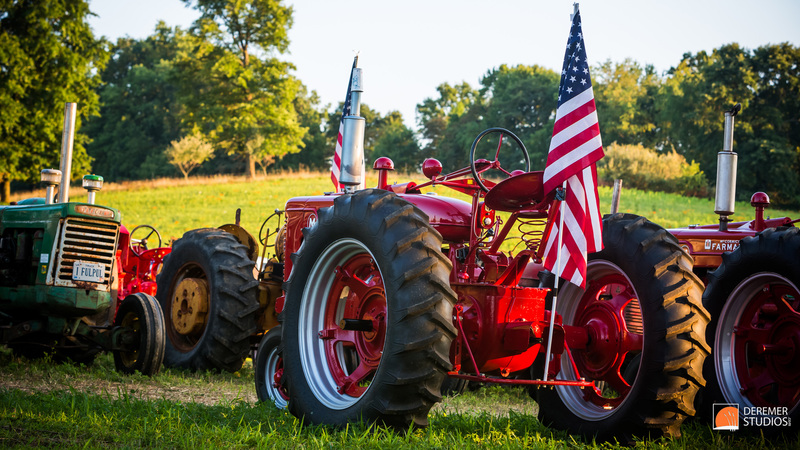 Tempting, isn’t it… Or, if you’re like me and don’t have $200,000 burning a hole in your pocket – getting into the world of tractor collecting could prove both profitable and enjoyable. For a boy with rural roots and a love of the country, I thoroughly enjoyed the day spent with these genuine and kind antique tractor enthusiasts. So, November and December were rather busy months for us – so much so that this series of shoots from around Thanksgiving is just now getting it’s day in the limelight. 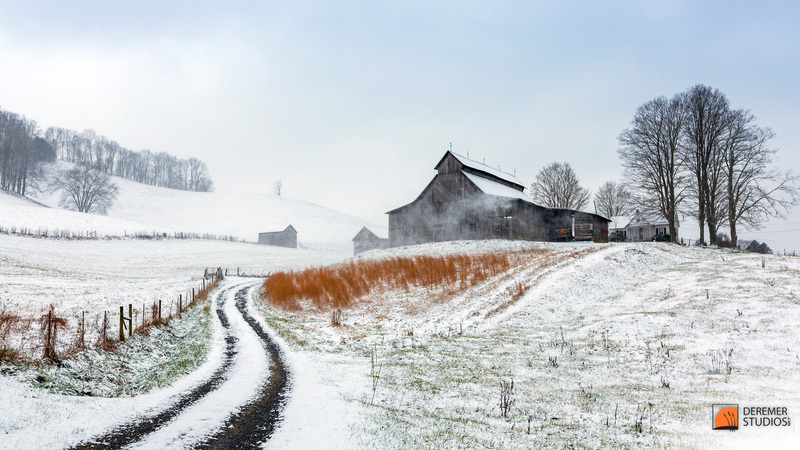 As we were visiting western Virginia, I had the opportunity to go out on several shoots. Though I photographed many of the same locations from day to day, the conditions couldn’t have been more different – and the results more diverse. 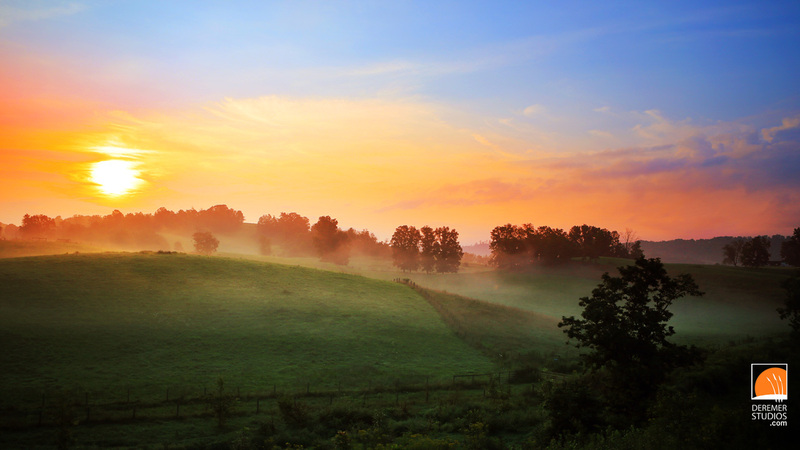 On the first day, (above) there was a gentle rain with low clouds and fog covering the farmland. 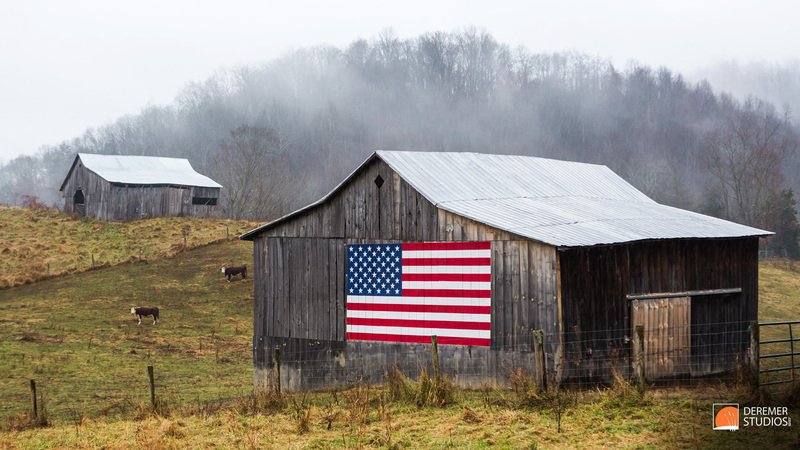 The above set of barns I have photographed before, but the American Flag painted on the side of the barn was a new addition that added that pop of color on an otherwise dreary day. Shoot two came as a cold front was dropping a few inches of snow along the mountains. And so, I revisited a few of my favorite locations and then set out to explore some new ground. I stumbled upon a group of feral Guinea Hens and a pair of wild turkeys, all living in some sort of weird family. I drove a little further along the North Branch of the Holston River and found a rather scary walking bridge suspended over the 100 foot wide river, connecting the road with a small community on the other side – imagine that commute! Check out all the fun in the galley below! These photos are all 1920 x 1080P HD wallpaper, designed to work perfectly with your widescreen computer, TV or other displays. As always, please feel free to download – and if you enjoy our photos, please share this blog with your friends and help us get the word out! So, I may have said that the previous post was may last post from our trip, but as I have come to learn, I’m not always right! 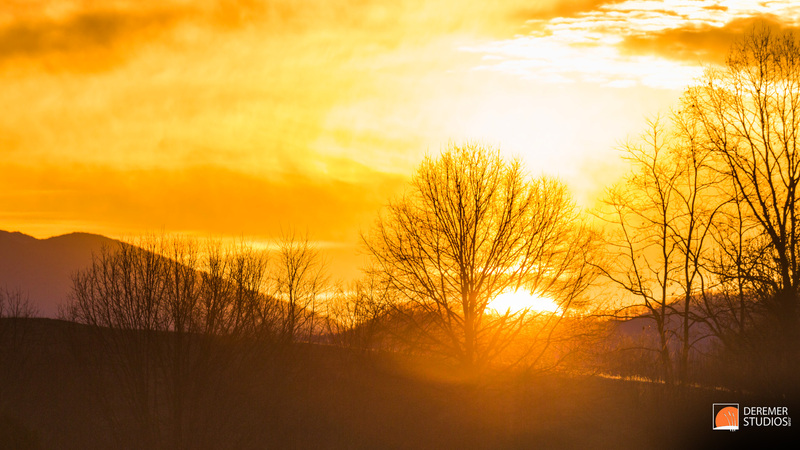 God surprised me with a wonderful treat our last day in Virginia and with the weather being rather frigid for much of us here in the US, I thought this post might at least bring some beauty to the otherwise dreary weather. As we were winding up our trip, one last little snowfall came to Virginia. 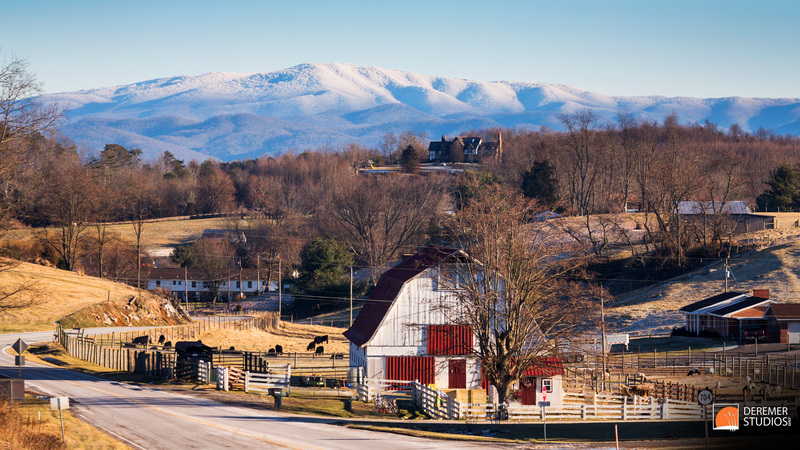 In the hills of Abingdon it was a light dusting, but as I set out with family that morning, I went over a rise (above) and saw that Mt. Rogers and White Top Mountain were both covered in a layer of snow that looked so light and fluffy that it could be mistaken for a cloud. Later that afternoon, my eldest daughter and I braved the roads, ascending the western slope of White Top. 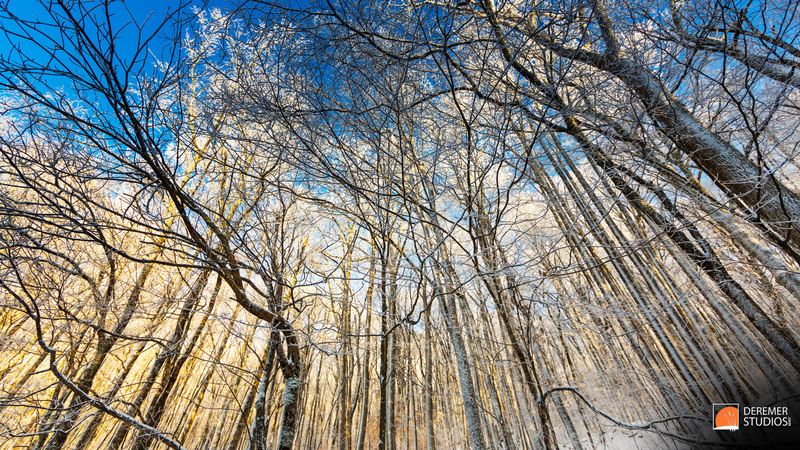 At about 3,500 feet, the sparse snow gave way to an amazing winter wonderland – with trees absolutely covered in a delicate coating of white. And as we climbed, it just kept getting better! Prudence had me turn around before attempting the final mile of dirt road up to the summit, but there was an array of beauty to be had as we descended – such as the image below. Toward the bottom of the mountain, with the sun setting to our left, I found a few old buildings, covered with just a hint of snow – a perfect way to end our winter adventure. These photos are all 1920 x 1080P HD wallpaper,designed to work perfectly with your widescreen display. As always, please feel free to download – and if you enjoy our photos, please share this blog with your friends! Who doesn’t love a good contest and a couple of freebies? After so many months of hot and humid weather, hints of autumn are finally in the air. 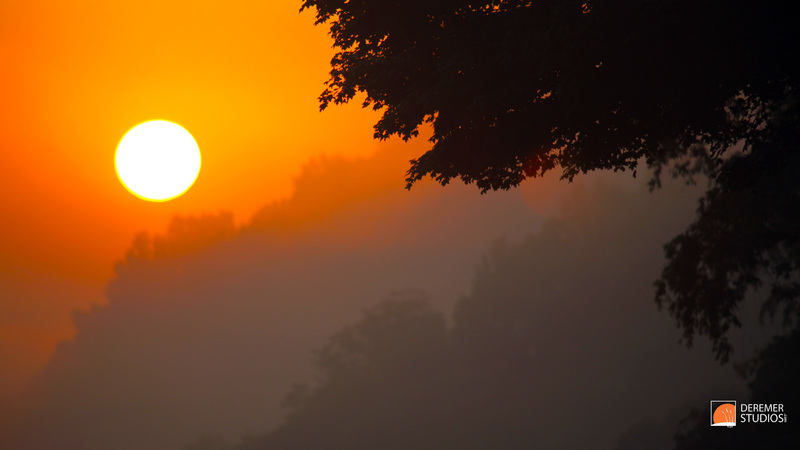 To celebrate, we’re hosting a fall photo contest. The winner will receive their choice of a one hour engagement, senior or family portrait session, or if you would prefer, two 10×30 signed fine art panoramas. 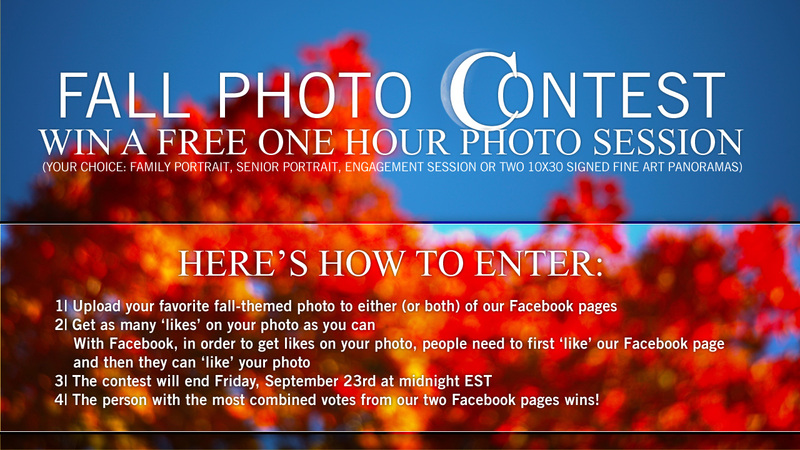 To enter, all you need to do is pick your favorite autumn-themed photo, uploaded to one (or both) of our Facebook pages and get get as many friends as you can to vote for your photo. The person who’s photo has the most combined votes from the two pages wins. Good luck! To download, simply click on the photo you like from the gallery below. Right above the photo will be a link to the full resolution image. Simply right click that link and save it to your photo folder. With some internet browsers, you can even right click on the full resolution image and set it as your background right from there! To celebrate the launch of our new blog, we’re giving away a selection of full HD desktop wallpapers. These backgrounds feature photos from two of our recent fine art trips – one to Virginia this Spring, and the other to New Hampshire and Maine this summer. Feel free to download as many as you like and enjoy.